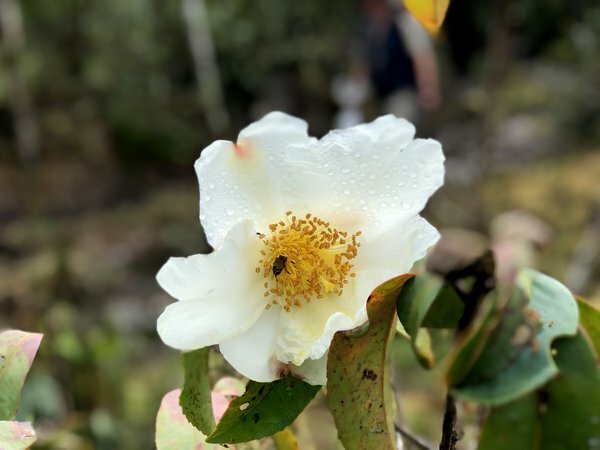 This is a remarkable species in the Theaceae or Camellia family, Native to Yunnan, Myanmar and Vietnam with this collection hailing from the latter. Evergreen trees rarely reaching 50' or more but doubt if you will have to contend with that eventuality! Large white flowers with yellow anthers occur in late winter and early spring. Suitable only for very mild gardens and worth trying on a wall.